You have probably heard a few people mention their heart rate while they work out, or even after they are done with a workout. So what’s the big deal? Is there an optimum heart rate to exercise at in order to improve your athletic ability, or to help you lose weight faster? If you have asked these questions, you are in good company. Very few people understand the physiology behind the answers to these questions, but it’s important to know as much as possible about the heart in order to exercise as safely and effectively as possible. Today, we are going to talk a little bit more about heart rate, as well as what the best methods are for measuring your heart rate. Your maximum heart rate is the highest number of beats per minute that your heart can possibly pump. Whatever this number may be, it is not sustainable! This is your heart working at its absolute hardest. Learning your own, personal max heart rate will help you figure out your best target heart rates to achieve as you exercise. First of all, if you would like to learn what your maximum heart rate is, you must work with a professional. You can do this with an electrocardiogram stress test with a physician, or you can try a submaximal exercise test with an exercise physiologist. It can be dangerous to push yourself too hard if you are not in the care of a professional, and you may pass out if you are not careful. One test many physicians perform on their clients is to have them run as fast as possible until their heart rate plateaus. This plateau is the maximum heart rate. Again, this is your heart working as hard as it possibly can—you do not need to train at this level unless you are working towards a certain even that will require that type of exertion. You cannot train your maximum heart rate. Regardless of what shape you are in, this number does not go up or down. The more physically fit you become, the more you can perform at your maximum heart rate. This means that any cardiovascular activity becomes easier with improved fitness levels. Your maximum heart rate has nothing to do with how physically fit you are. Only the amount of work you can do at your max heart rate is connected to how fit you are. Your target heart rate is much different than your maximum heart rate. With your target heart rate, you want to aim for somewhere between 70 and 85 percent of your maximum heart rate. However, depending on your medical history, this number may change. Make sure to discuss any change in fitness routine with your physician ahead of time, as the two of you will need to review your plan together. Also, different workout types will demand different intensities, so be sure to mention what kind of exercise you plan on doing. Why should you know your target heart rate? First of all, knowing your target heart rate and maintaining it during a workout is the best way to burn calories and fat during your workouts. If you are hoping to improve your cardio endurance, maintaining this rate is the most optimal for improving your performance. And finally, it prevents you from getting too tired during your workout and stopping before you need to. You’ll enjoy a healthier and more sustainable workout! At Circuit 31 Fitness, we believe in pushing our bodies to the next level. With every circuit being just 31 minutes, you will be in and out of our facility in no time. This is perfect for anyone who is constantly on the go and trying to balance a busy schedule. 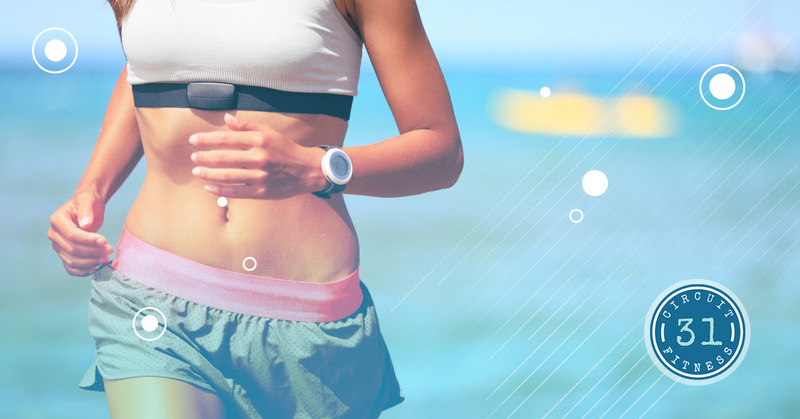 If you are someone who diligently tracks their heart rate as they exercise, you can come in a see for yourself how challenging yet doable our exercises are while still maintaining your target rate. Contact us today to get started and to tour our facility! We look forward to seeing you in our fitness center and helping you meet your health goals.